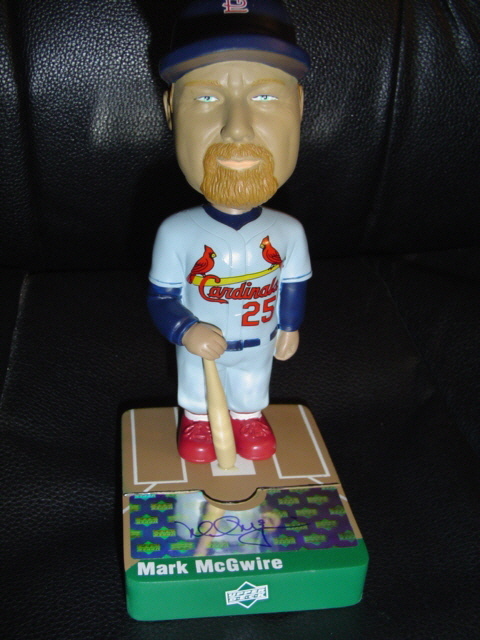 I want your McGwire, Pujols, Rolen and Cardinals-autograph cards!!! I wish I had more autographs of the players who are pictured, especially the guys that I collect, but getting the 5 autographs in person was cool anyway. I met Matt Morris and Jason Simontacchi, the two who signed on their pictures, at a card show in St. Louis. Matt was nice enough to sign a baseball and another 8 x 10 picture of him for no extra charge. 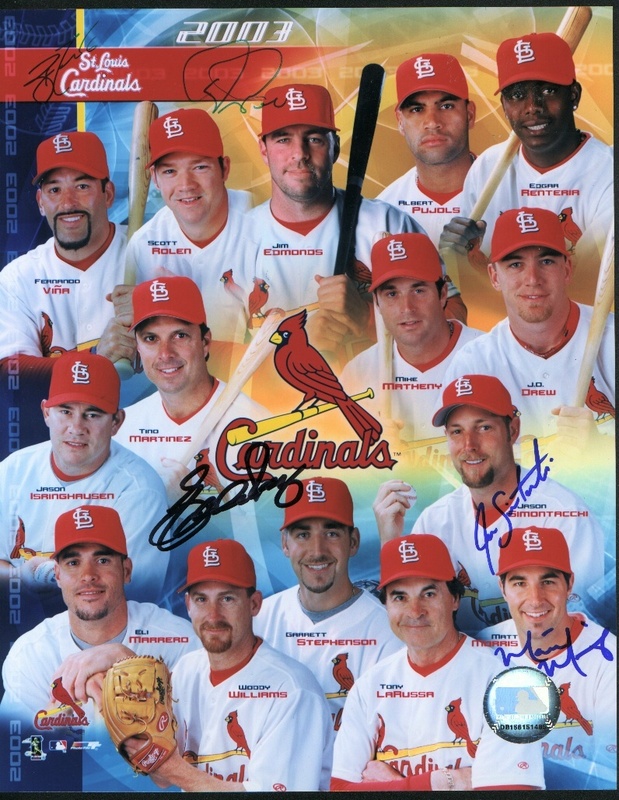 As for the other autographs...because I know you'd never be able to translate them...in the center is Eduardo Perez, in the upper left-hand corner is Brett Tomko and just under the 2003 is Steve Kline. **because I'm doing this for a friend, I won't trade anything that books at $8 or more, and I may not trade certain inserts, parallels, etc. Otherwise, just LMK what cards you want. Check out these great trading sites!! !